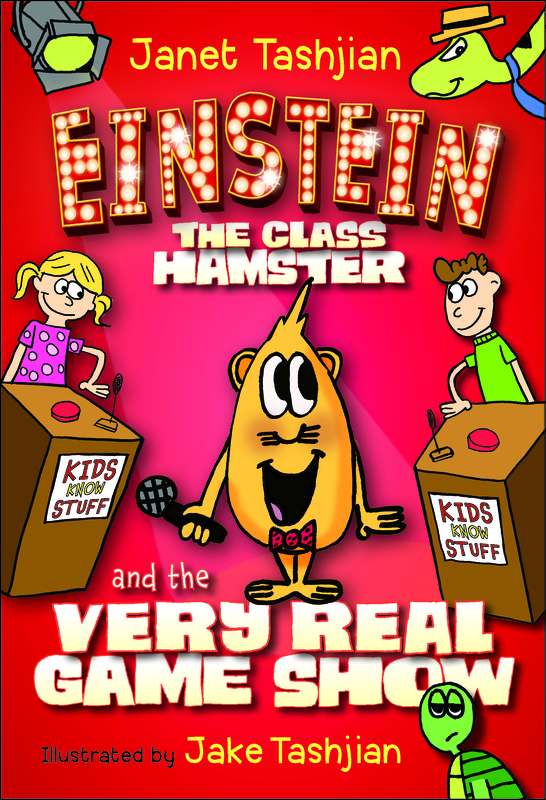 In Einstein the Class Hamster and the Very Real Game Show, the companion to Janet and Jake Tashjian’s Einstein the Class Hamster, we follow Ms. Moreno’s class as they face off against the students of Crackerjack Elementary on the hit game show Kids Know Stuff. But when Principal Decker sneaks Twinkles the python into the studio, there’s widespread panic; the show’s host is afraid of snakes and walks off the set. Now is Einstein’s chance to shine! With the assistance of a sound engineer who can also hear Einstein, Ned and Marlon help Einstein get ready to host the show and save the day. But something goes wrong. Does Einstein have . . . STAGE FRIGHT? Oh no! Ned and Marlon must find a way to help Einstein and win the game show.